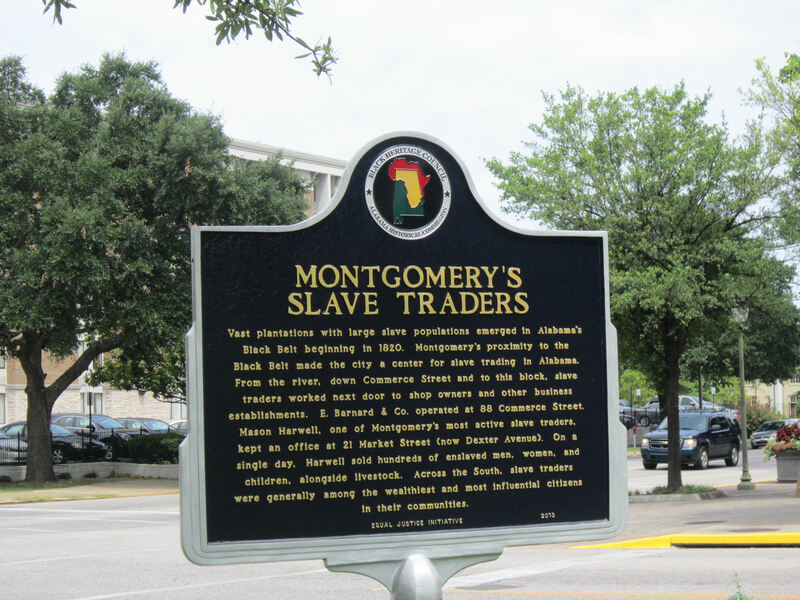 2015 Road Trip Photos #41: Black History on Montgomery Streets « Midlife Crisis Crossover! A marker for the most life-changing bus stop in America. Like our stroll around Birmingham on the morning of Day Two, we spent the morning of Day Six walking up and down the much wider, more gleaming, less shaded streets of Montgomery, Alabama. I’m terrible about remembering to check maps for scale and was unprepared for the fact that the state capital’s city blocks were two or three times larger than those of Birmingham’s comparatively claustrophobic downtown. Our walk was consequently longer and more draining, but no less dotted by indelible moments in state and national history. 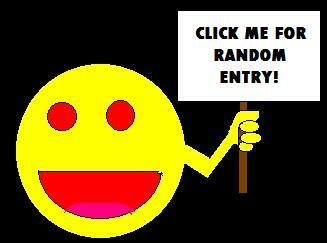 Pardon this white guy while he shuts up a little, stands back, and lets these sites speak for themselves here. Call it our gallery of Black History Month in July. If you’re ever in the area and have the time to search around, you’ll find these are a mere surface-etching of remembrances of the conflicts between generations past and present. 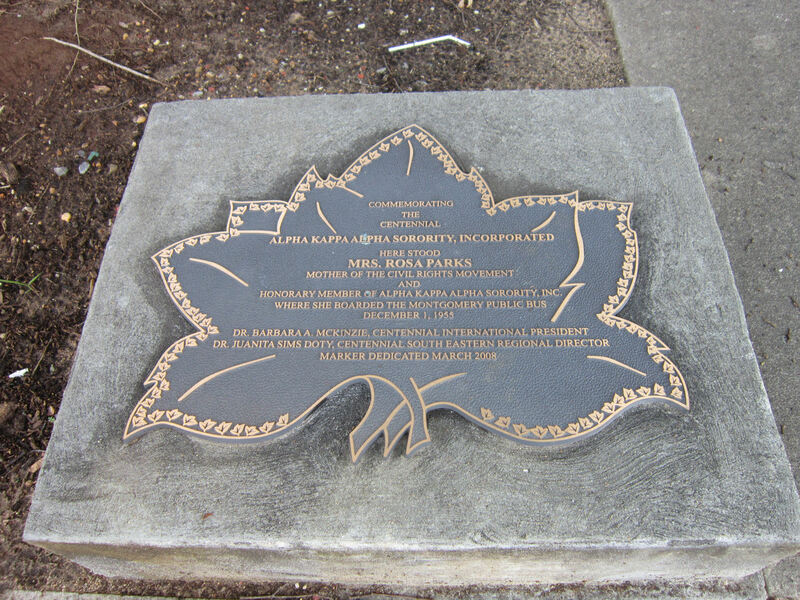 Ground plaque added in 2008 to the same spot where Rosa Parks stood That Morning. 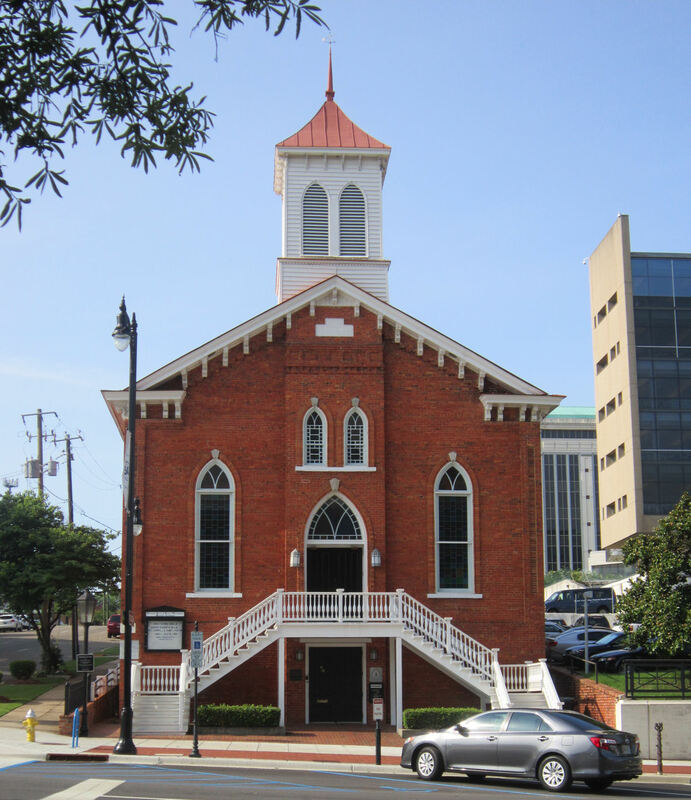 The Dexter Avenue King Memorial Baptist Church (formerly just the Dexter Avenue Baptist Church), where the Reverend Martin Luther King Jr. served as pastor for six years, and where he organized the Montgomery bus boycott. Public tours are available only by reservation. 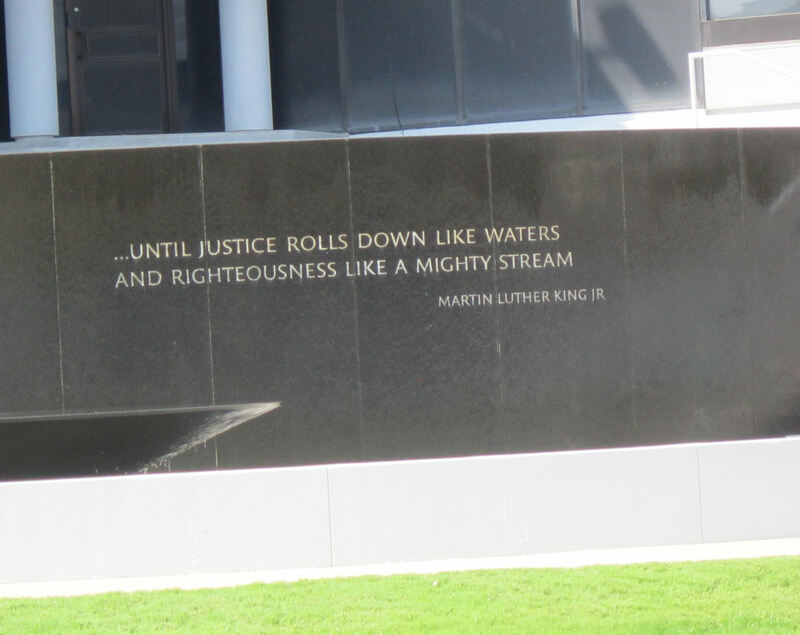 MLK quote on the Civil Rights Memorial in front of the Civil Rights Memorial Center, across the street from the Southern Poverty Law Center. The memorial fountain was unfortunately shut off that day. 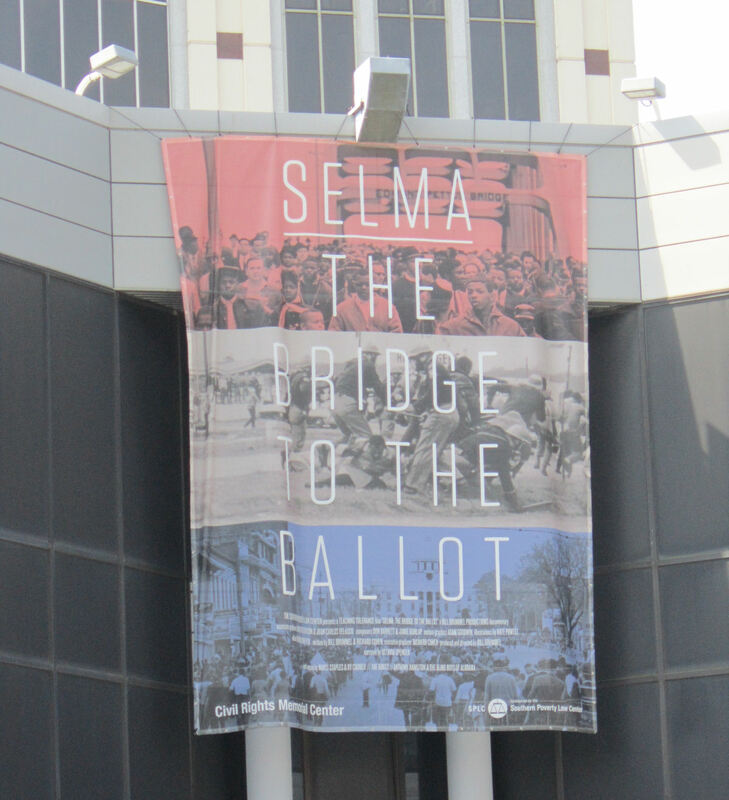 A large banner hung from the Civil Rights Memorial Center advertises their documentary Selma: The Bridge to the Battle, about the march from Selma to Montgomery. It’s narrated by Academy Award Winner Octavia Spencer and is now available for purchase. If you’re retracing the steps of the march, you’ll find this small monolith along the path leading to the Alabama State Capitol. 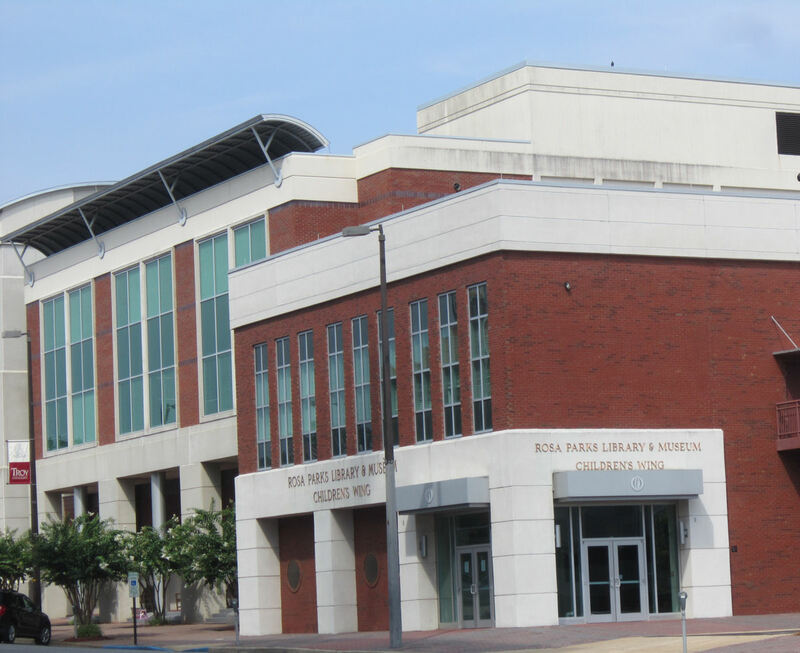 Troy University named their library after Rosa Parks, and dedicated it on the 45th anniversary of her arrest for the heinous crime of Sitting Any-Old-Where While Black. 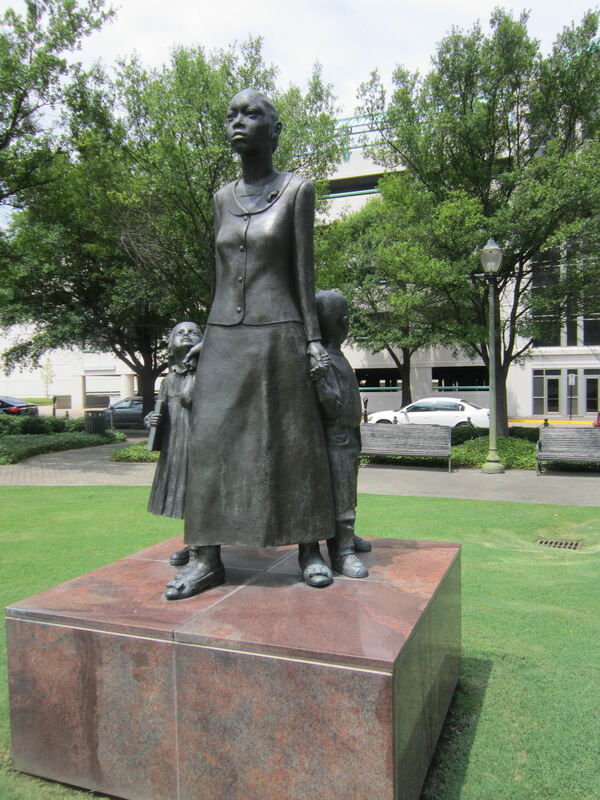 I wish I had more info about this sculpture, but the mother’s defiance, protectiveness, and pride speak volumes. A contextual reminder of the long-standing legacy of white inhumanity in America. 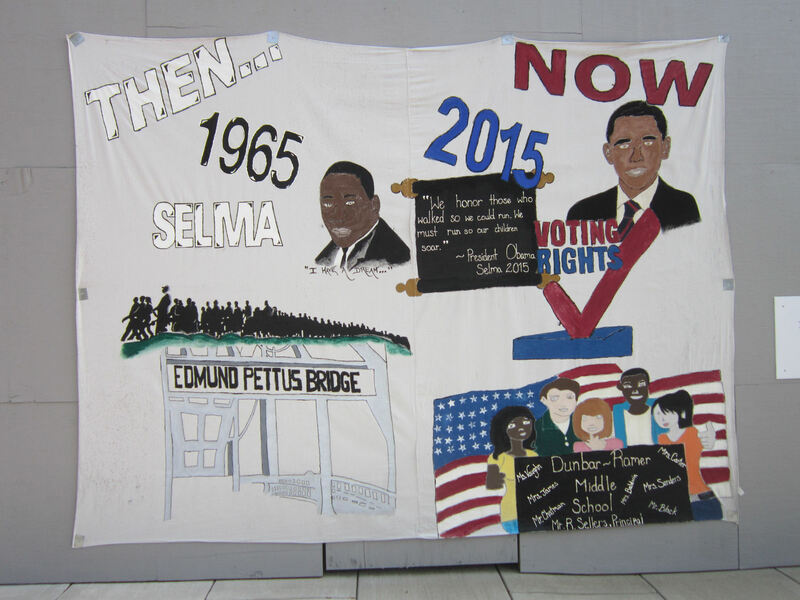 A middle school banner notes the fiftieth anniversary of the Selma-to-Montgomery march. 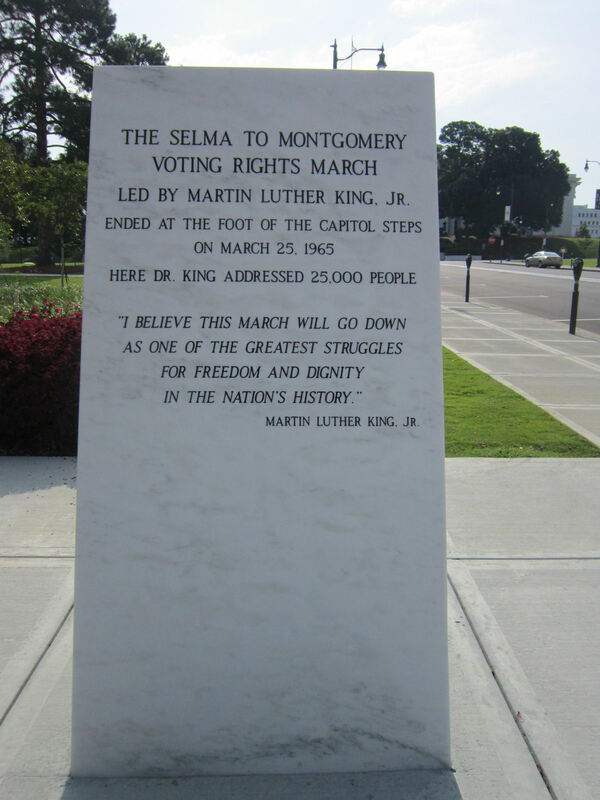 As previously noted, we regretted missing out on Selma for this trip, but we appreciated at least seeing the endpoint for the march that began there. As painted by local artist Sunny Paulk and completed in November 2014, this mural is a larger, more permanent, no less heartfelt tribute to the march. 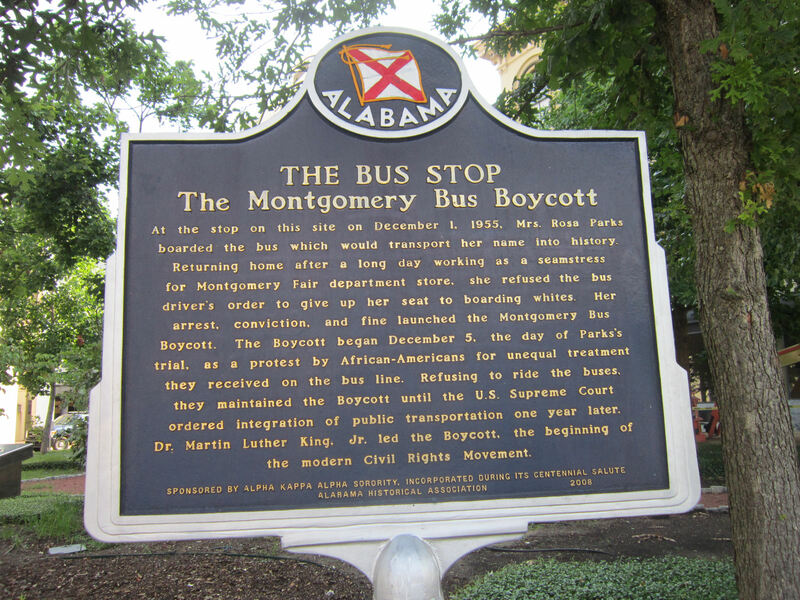 We ran into a bit more in Montgomery than these important civil rights moments, but they’re the parts that deserved to go first.